From International Women’s Day: Science Undermines Women of Science #MakerEducation « Adafruit Industries – Makers, hackers, artists, designers and engineers! Interesting read from Fortune that highlights the contributions of female scientists from throughout history that were crucial but often ignored, specifically the work of Rosalind Franklin. 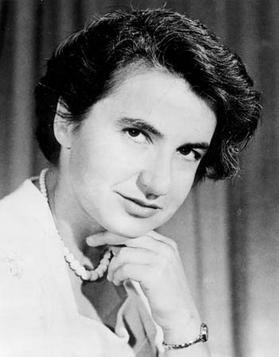 Rosalind Franklin’s newfangled “camera” was poised delicately, fifteen millimeters away from the lone, suspended DNA fiber, now chemically stripped of its protein cloak. The experimental device shot a beam of X-rays at its infinitesimal target, which in turn yielded a pattern on some photographic film resting behind it as the radioactive waves diffracted off of the molecule’s atoms and etched a smudgy outline of its shape. The technique, called crystallography, was a bit like making a shadow animal on the wall with one’s hand and a flashlight. Except this shadow image took as long as one hundred hours to create.